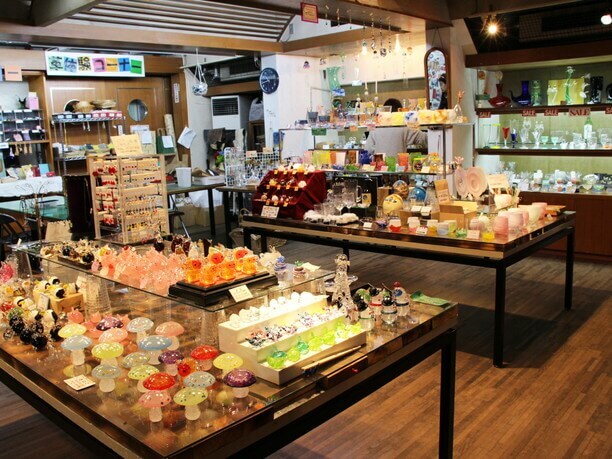 At Otaru Il Ponte you can experiencing blowing glass and can also make small leather goods. Otaru is famous as one of Japan’s leading glass towns. 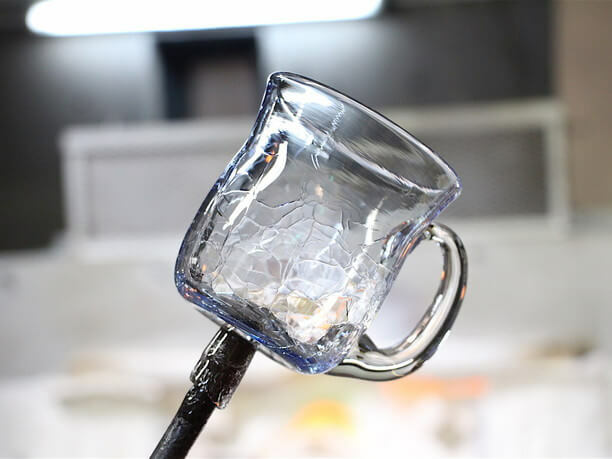 The original glass that you make with your own hands makes a wonderful souvenir of your trip to Hokkaido! Otaru Il Ponte is a production experience studio located along the canal street. 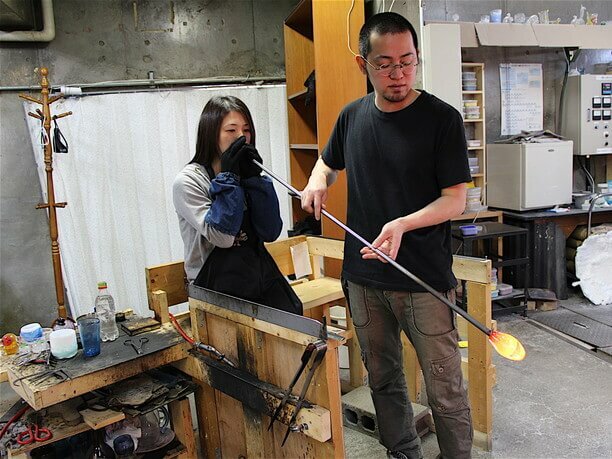 It is easy an place to drop in on the way sightseeing among the many glass workshops in Otaru city. This is a production experience studio where you can experience not only blowing glass, but also sandblasting and craft experience using real leather. 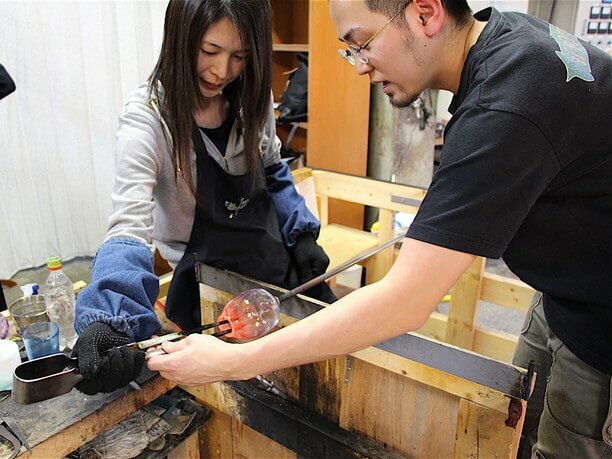 Enjoy Making original glasses at the workshop along the Otaru Canal! 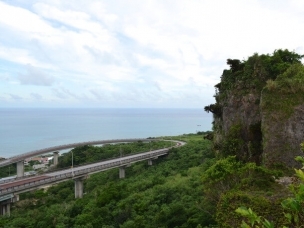 Otaru Il Ponte is approximately 10 minutes from JR Otaru station along the Otaru Canal Street in the tourist area. 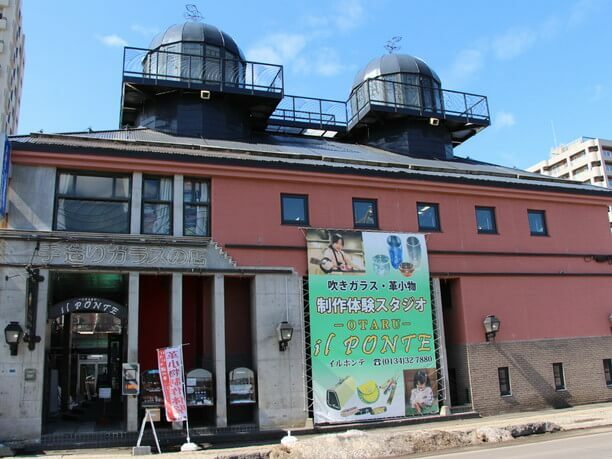 It is in the Otaru Canal Plaza tourist office building with two glass domes on the roof as a landmark. This building with its modern architecture design was built in 1988 and was awarded the Otaru City’s Urban Landscape Award. 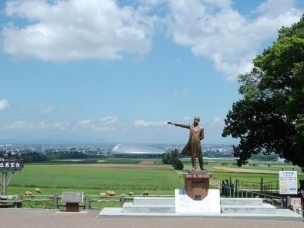 It is a familiar part of the Otaru landscape! Glass products made in the studio are displayed inside the shop. It was originally operated as a leather factory. Today they sell bags and accessories etc. using genuine leather in one corner of the shop. They have three kinds of production experiences on their men: blowing glass, sandblasting, and leather accessories production. Even if you come in groups you can choose your favorite menu. Doing all three is ok too! You can select just what kind of glass you want to make! 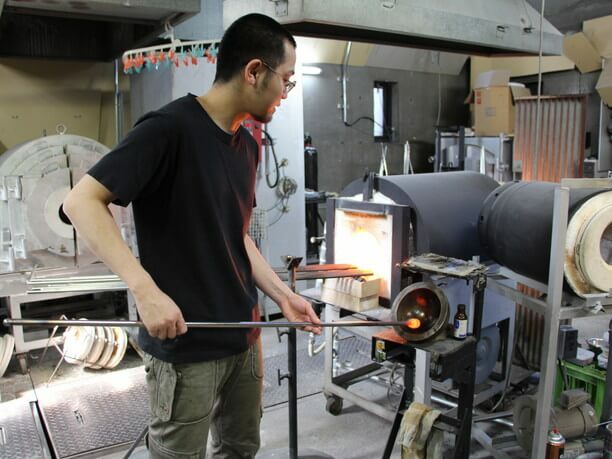 The experience of blowing glass is 2,500 yen, including materials. After receiving an explanation from the staff, you decide on the shapes and colors to make. 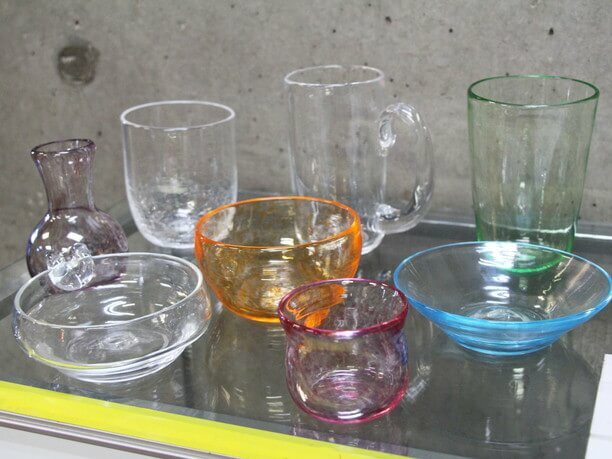 Here you can choose the shape from seven different kinds, such as a drinking glass, sake shot glass, vase, and small food service dish, etc.. Making tableware is popular because many would like to make a practical item instead of a souvenir that is simply for decorating. There are seven colors to choose from and if you are willing to pay extra, you can make various combinations, such as rugged patterns, cracked patterns, something with handles, something with a base. Work quickly, because the melton glass will solidify! 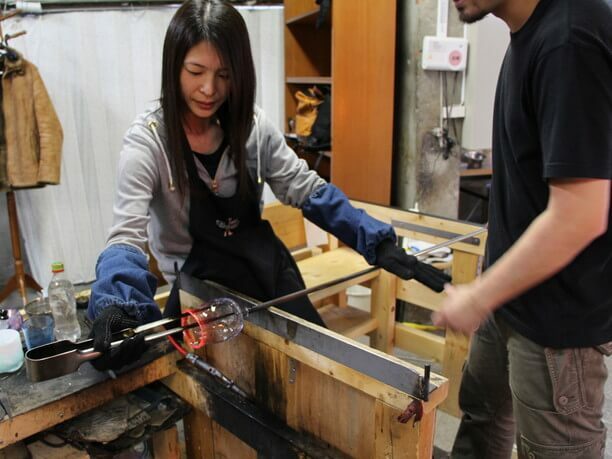 “Making blown glass literally means blowing in the melted glass,” says Nagata(永田), the workshop chief. 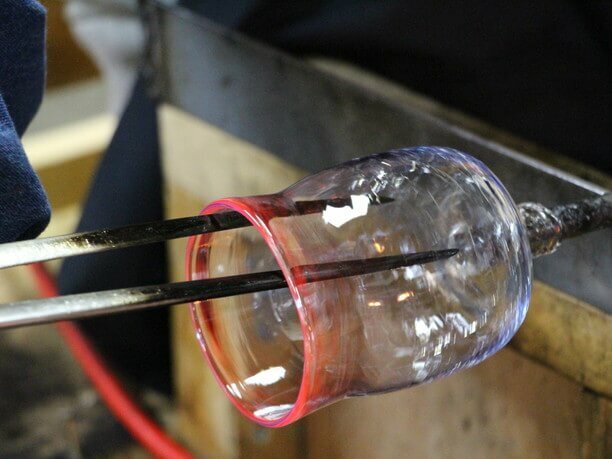 At the tip of an elongated iron cylinder made like a blowpipe, you take up the glass melted at 704 degrees Fahrenheit and add air and let it inflate little by little. As it cools down quickly, you must quickly blow into the glass two or three times until it gets to a reasonable size. It is not easy blowing in the air on the first try, but from the second time it will swell like a balloon. The softness of the glass and watching it changing shape steadily in front of you is a mysterious feeling. There are Important points in determining the shape of the glass! Once the size is decided it is time to create an opening. Actually, this is the most difficult point! While rolling the glass with the left hand, use your right hand to create an opening. Of course, the staff will teach you how to do it! While being encouraged by a gentle voice, you will manage to get the job done! Finally a handle is attached, and the mug is complete! You can also make full-scale leather accessories! 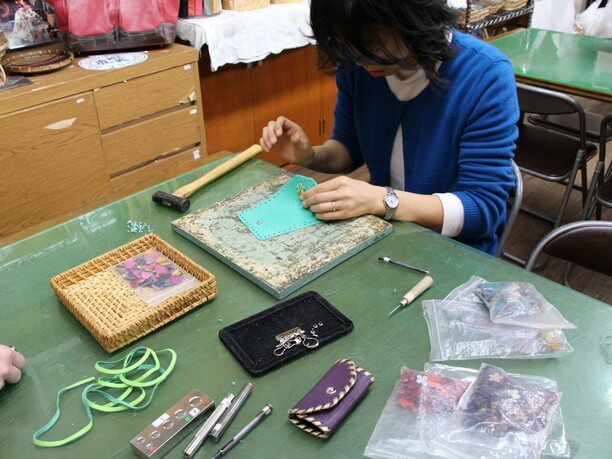 At Otaru Il Pontet you can also create small articles using genuine leather. The price varies depending on the type of item you will be making and the type of leather you use to make it. 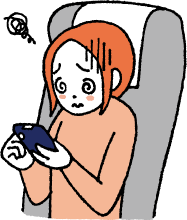 For example if you choose to make a coin case with an average piece of leather it will cost around 2,000 yen. You can choose from cowhide, as well as ostrich and snake leather! 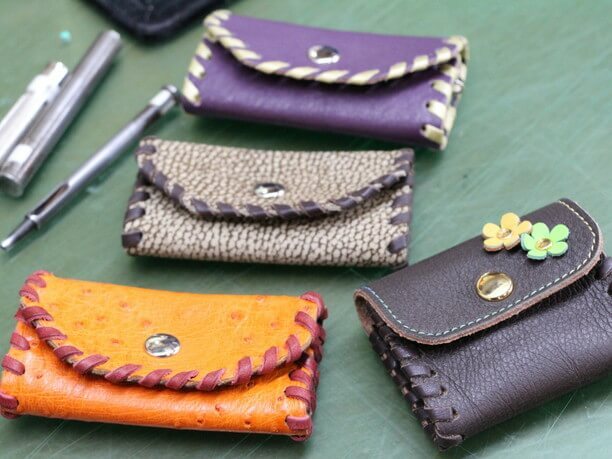 The most Popular items to make are the coin case and card case. There is also sandblasting that you can experience. You can choose your favorite experience. So visit the banks of the canal and try making a nice souvenir memory of your trip? 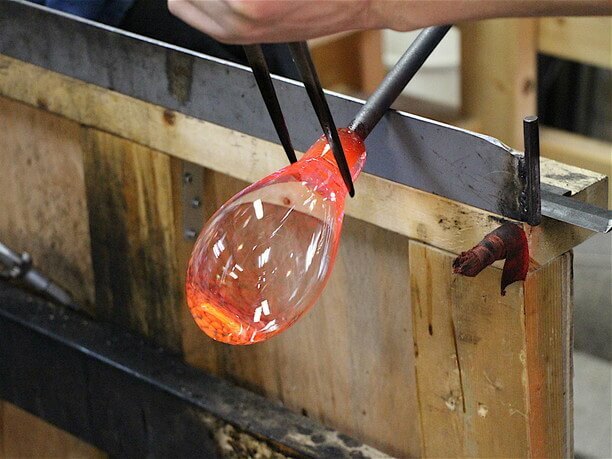 It takes about 20 minutes for one person to experience the glass blowing! For every additional person it takes about 10 minutes more! There is usually space available even if you just show up! 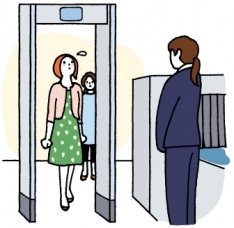 During the tourist season it gets crowded so please make a reservation! Since the blown glass work takes overnight to cool it is mailed the following day. You can take sandblasting and leather accessories as they are. You get to choose the shape, colors and options for what you create, so please consult with the staff about the shape and design you want to make.